GDDR5, GDDR3, GDDR4 and DDR3 are all types of DDR (Double Data Rate) RAM (Random Access Memory). Each one has their own application in the computer and technology field. In the next topic I will explain in detail about the difference and similarity between all these types of RAM’s. 1 What does ‘G’ stands in GDDR5 or GDDR3 or GDDR4 RAM? What does ‘G’ stands in GDDR5 or GDDR3 or GDDR4 RAM? 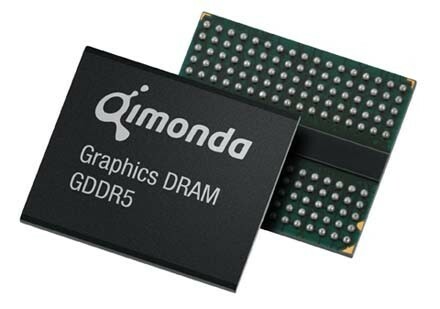 The G stands for Graphics and it called as Graphics Double Data Rate 5 Random Access Memory or Double Data Rate type five synchronous graphics random access memory for GDDR5. The notation ‘G’ or term graphics is used to imply that this type of memory is only used in high performance graphics cards and gaming consoles. The type i.e. 5 in case of GDDR5 denotes the generation of the RAM, the higher the number the newer its generation will be. Graphics DDR Memory have higher clock frequencies and relatively larger bandwidth than the normal DDR memories. It is also known as Video RAM or VRAM. It is a standard type of RAM that is used in your computers and laptops. It is much faster than the older DDR2 RAM that was used for a long time in older motherboards. They are also much cheaper as compared to GDDR RAM. DDR3 also runs on lower voltages as compared to DDR2, which results in some power savings for you. It is faster than DDR3 memory and is used in budget / low to mid-range Graphics Cards and Gaming Consoles, which includes Xbox 360 and PS3. It is not very popular and has been used on very fewer graphics cards. It is not being produced or manufactured today and is replaced by more efficient and faster GDDR5 memory. It is the fastest memory as of now and is used in present day mid to high range graphics cards and top gaming consoles like PlayStation 4. It can reach speeds up to 5 GHz and more. It is very expensive memory but delivers blazingly fast performance. Theoretically GDDR5 RAM is 2.5 to 3 times faster than GDDR3 memory. Here is the bus width or interface available for these DDR memories. Here is the basic formula to calculate bandwidth of memory for graphics card and pc. Like I said earlier also GDDR memories are used in graphics card, gaming consoles or high computation devices and the plain DDR memories are used in your desktop computers, laptops and netbooks. Graphics card memory type i.e. GDDR5, GDDR3 etc. has nothing to do with the compatibility of graphics card with the motherboard. This means that your motherboard only needs PCI Express x16 graphics slot to use any graphics card irrespective of the type of memory it have. Here are some current graphics cards from Nvidia and AMD /ATI that uses different memory types. GTX 960M GDDR5 is the best. hi, can i ask something i cant decide my own, which is better 940m or 940mx or 930m or 930mx? Hello, 940MX is the best of all. Hi I recently bought GeForce GT 740 4GB DDR5 128 bit by Microsmart. I cannot find any specs and details in google regarding it. The Nvidia and Geforce site only has GT 740 1GB card specs. So could you give me some idea if this card is good or bad or fake. Thank you. Where did you buy it from? and you post the image of the card. GTX 950M 4GB GDDR5 vs GTX 960M 4GB DDR5? I recently purchased a Lenovo 710-15ISK. Model #: 80U0000FUS it states that it has a 940MX graphics card. I bought this for some gaming but I am not sure if I will be able to play Forza Horizon 3. Would great if you had some info on it. I think 940MX can run Forza Horizon 3. AMD Radeon R7 530 Gddr5 vs Nvidia 940mx ddr3 which is better? Work – Photo/Video editing. Please reply ASAP. Urgent. Hi, i recently decided to build a PC, and am looking for a good GPU for gaming. I have found a bunch that suit me, but i got confused now. isn’t DDR3 the system ram. I was looking on the internet and found people telling me it has nothing to do with the GPU. i have always thought that GDDR3/4/5 is the GPU ram. My question here, I have a DDR3 System ram and want to buy a any type of GPU–>(3,4,5) am confused, can i run all, what do u suggest. Your system RAM has nothing to do with graphics card compatibility. You can use GDDR5 / GDDR4 / DDR3 graphics card in your PC having DDR3 RAM. Thx, but now i want to make sure that the GPU is compatible with my motherboard. How can i know what kind of motherboard i have and what is suitable with it. You can use HWiNFO tool to know about your motherboard or other hardware components. I have a “DELL 0M9KCM” motherboard as it says . What other things should i consider before buying? Like the power source or the GPU length? Yes have to keep in mind about the graphics card length and power consumption. All Video cards will work on all motherboards? If the motherboard and video card have the same interface which today is PCI-Express x16. Should i get a 2GB DDR3 GPU or 1GB DDR4 GPU? If the GPU is same then it really does not matter because DDR3 and DDR4 memory are only used with entry level low end GPUs. I would rather prefer the DDR4 one if its memory speed is substantially faster than the DDR3 one. Thx, But now I’ve decided to buy a new PSU, Should i be concerned about anything? because some guys told me that u might overpower the motherboard and the cpu with the new PSU and fry it. My current PSU is (275 Watt) and am willing to buy a (500 Watt) PSU. So can i just change the power supply? No it won’t fry your your computer even if you get a 1000 Watt one. Thanks! Is there another way i can contact you if i ever face any problems in the future? You really helped me a lot. Yes it is pretty good for gaming even in 2018. It is a Quad Core (4 Cores) processor with 4 Threads. Yes you can use any graphics card with this processor given that your motherboard has PCIe x16 slot. and am not sure if a do have that, my previous GPU is Geforce 210 and only required the version 2 of PCI-E. will the PCI-E version 2 slot work on my new GPU? will it fine to just swap the cards.>> i read online that if the difference is small u will prob face no problems. PCI-E 3.0 cards works on PCI-E 2.0 slot and I think you should be fine with your PSU too. By the way which PSU do you have? Do u mean what brand? Not sure really, i just checked a it says (Dell inc). Is there really a Dell PSU? I only know crosair, sorry am new to this stuff. If u want i can send u a photo of it of the label. which is more important, to have video card high bandwidth and less ROPs/shaders/pixel fillrate/texture fillrate dimensions or opposite? I mean to compare intel HD graphics 620 with GeForce 920 MX. All of them work in conjunction but you cannot compare HD graphics 620 with GeForce 920 MX in terms of same specs because both have different architecture. Then GeForce 920MX would be better.